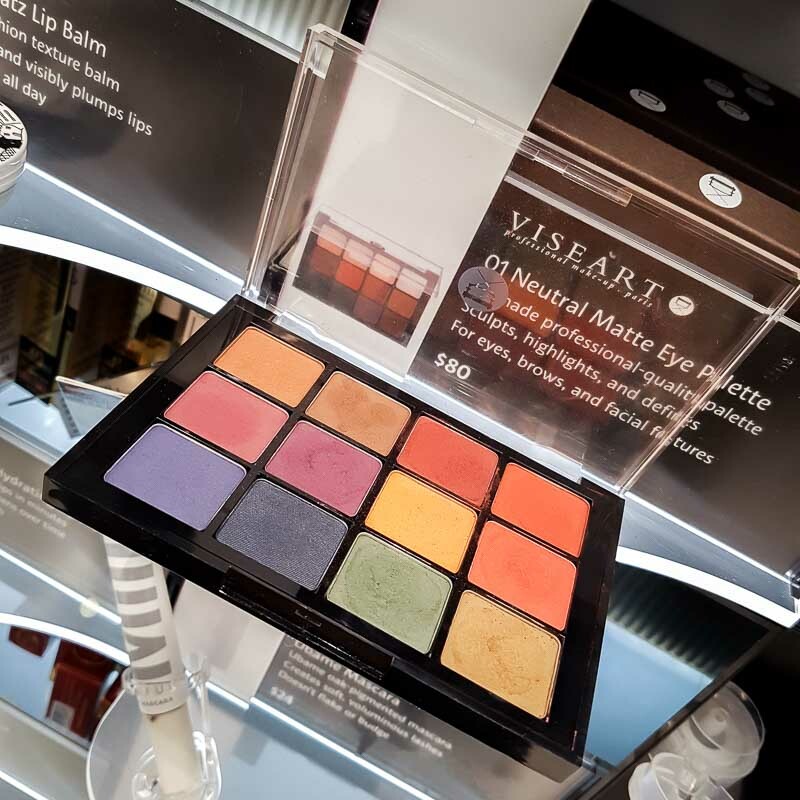 Viseart Dark Matte (04) eyeshadow palette features dramatic, rich shades ranging from navy to wine and rich warm browns and yellows. I love every single color in this palette, and for someone with medium-dark skin tone (like me), this palette can be quite useful on its own without having to dip into colors from other palettes or brands. 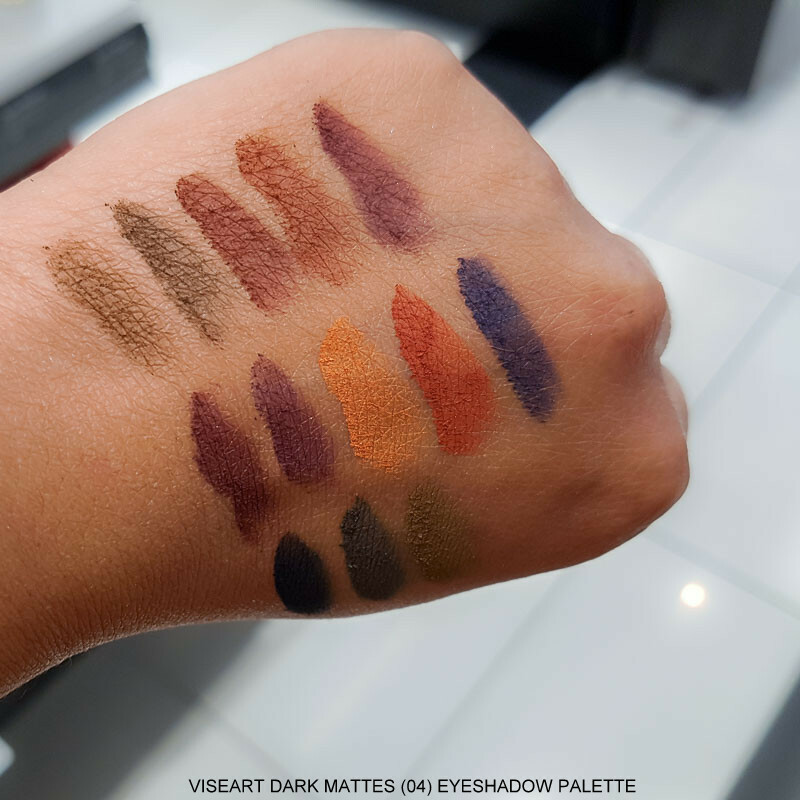 The colors are perfect especially for this time of the year for fall-winter smokey eyes, but they would work just as well as for deeper-toned neutral looks for any time of the year. 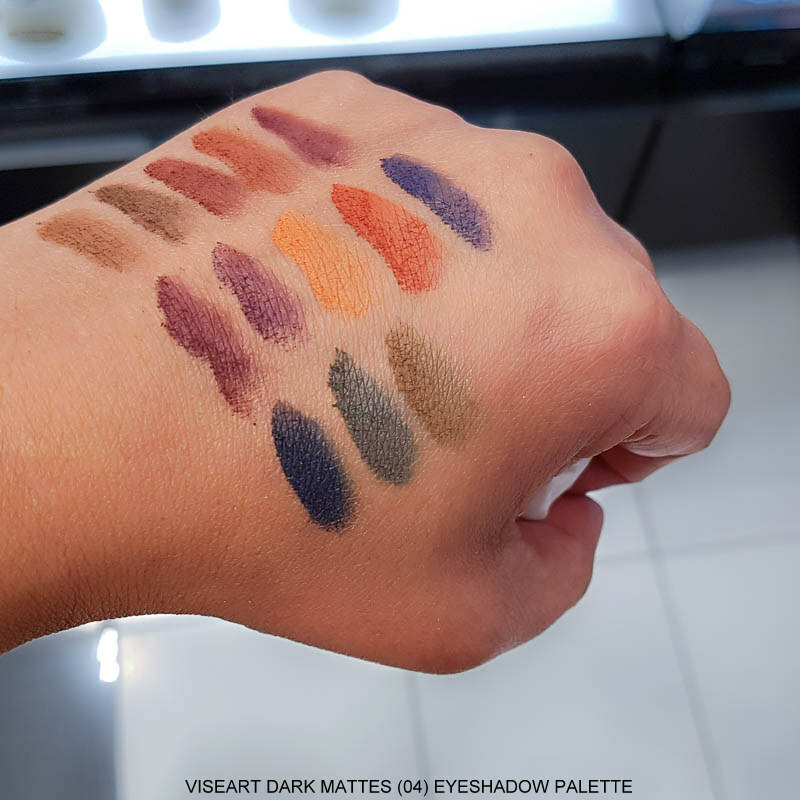 Matte eyeshadows are my favorite, and none of the eyeshadows in this have any chalky look to them. Probably because there is no silicone in the ingredients list, the eyeshadows don't seem silky smooth to swatch, but I do think would be easy to build up and blend. 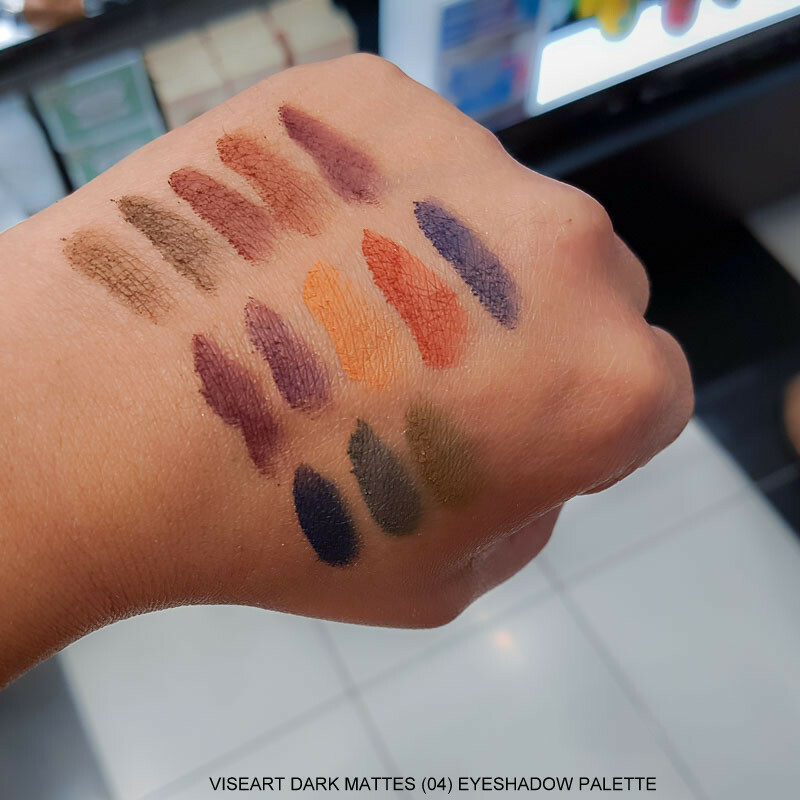 You have the best swatches, so realistic, I feel I am in the shop and swatch them on my hand.